New Trojans appeared, old ones resurfaced, and delivery methods evolved as cybercriminals set their sights on financial data. Banking Trojans have been a recurring theme in security news this year as criminals find new ways to steal money and data from their victims. 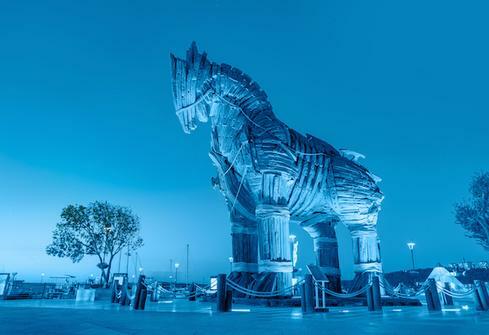 "We have started to see the re-emergence of banker Trojans," says Bogdan Botezatu, senior e-threat analyst at Bitdefender, noting that banking Trojans had their heyday between 2012 and 2013. "But we could have sworn the trend was otherwise." It's interesting to see banking Trojans resurface because of the resources they need to work. Unlike comparatively simple attacks like ransomware, banking malware requires several players and is difficult to launch and monetize. Botezatu suggests the rise could be attributed to both code leaks of other banking Trojans and an oversaturation of the ransomware market. Many of the banking Trojans we've seen this year are reminiscent of those we've seen in the past. Others are old threats being distributed in new ways, targeting new victims. Terdot, a banking Trojan first seen in October 2016, takes its inspiration from source code of the Zeus banking Trojan following Zeus' source code leak in 2011. IcedID, another new banking Trojan that emerged in September, shares traits with Gozi, Zeus, and Dridex. "Overall, this is similar to other banking Trojans, but that's also where I see the problem," says Limor Kessem, executive security advisor for IBM Security, of IcedID. It's rare to see banking Trojans that don't share qualities with existing variants. Attackers are copying one another and adding new features like anti-evasion techniques to further advance the malware. Here, we look back on the new and evolved ways banking Trojans targeted victims in 2017. Any threats we missed that should've made the list? Which do you think will stick around next year? Feel free to leave your thoughts in the comments and read on for more.